Oh Christmas Tree! 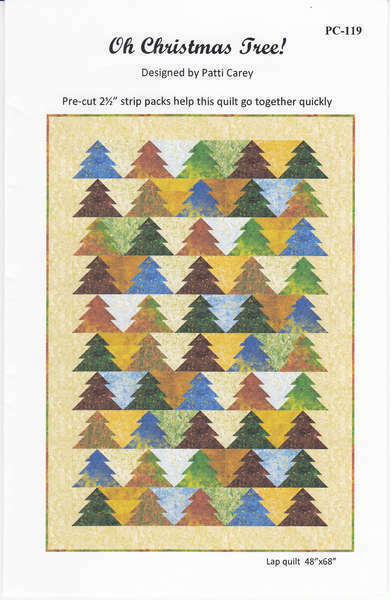 is a gorgeous jelly roll pattern that will create a forest to complement your decor. The pattern includes directions for three sizes, wall, lap and queen. Finished Sizes: Wall: 38" x 42", Lap: 48" x 68", Queen: 90" x 98". Skill Level: Confident Beginner. Pattern designed by Patti Carey.